Royalty-free stock illustration of a little boy building a Christmas-decorated snowman out in the snow. Royalty-free stock illustration of a naughty little boy wearing a santa hat, smiling, and pushing a large snowball. 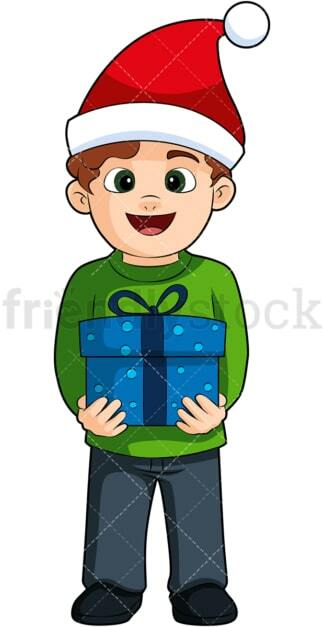 Royalty-free stock illustration of a happy little boy smiling while holding a gift box and wearing a Christmas hat. 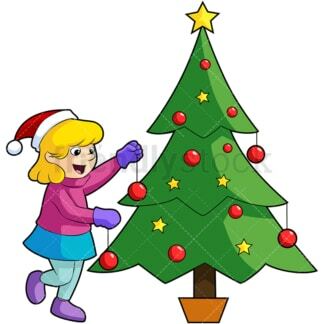 Royalty-free stock illustration of a blond little boy smiling as he places a star on top of a decorated Christmas tree. Royalty-free stock illustration of a little boy singing along to a Christmas song playing through his headphones. 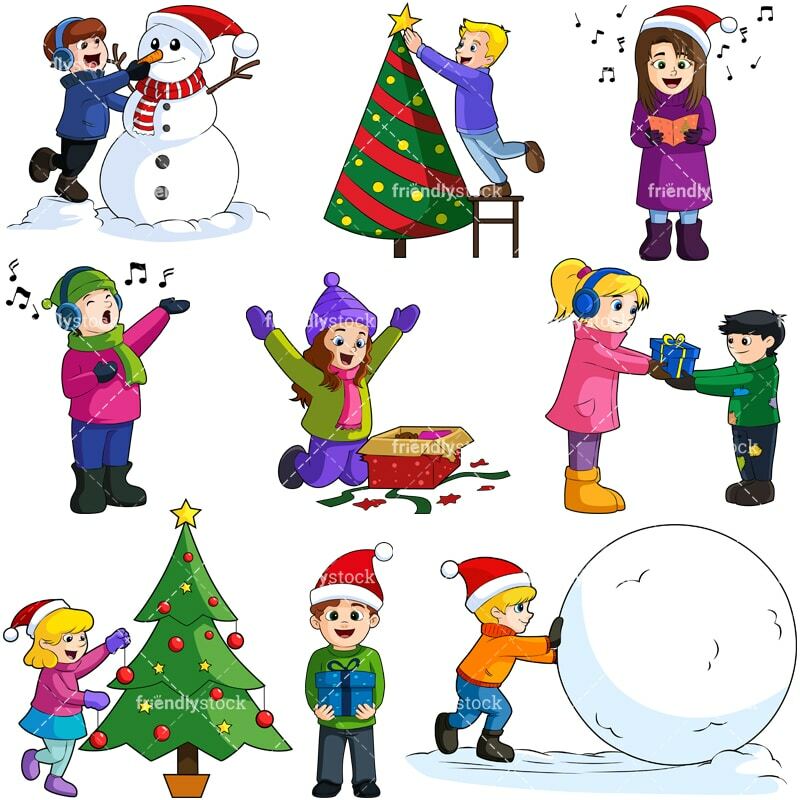 Royalty-free stock illustration of a smiling happy little girl placing ornaments on a Christmas tree while wearing a Santa’s hat. Royalty-free stock illustration of a happy little girl singing a Christmas carol from a music book. 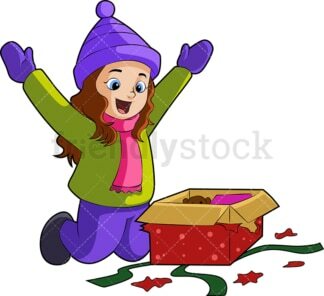 Royalty-free stock illustration of happy little girl unwrapping her Christmas present, looking extremely happy. 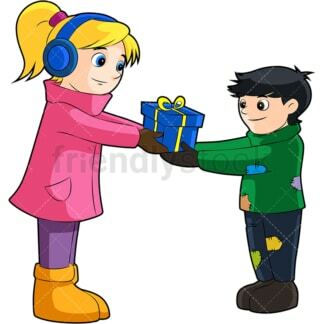 Royalty-free stock illustration of a generous little blonde girl donating her Christmas gift to a poor little boy with patched up cloths.